Per my court order, I found myself sitting in a room full of all different types of people with anger issues. People watching became more than just a bad habit, but an addiction. Judgment was only too easy to pass. I could barely force myself to blink while I scanned these fools in amazement while they interacted with one another. How I could be considered the same as these crazies? I stared at him with his smug half smile I heard someone shout, “I don’t know what the hell you want me to do!” The room gasped, and everyone was staring in my direction. “Did I say that?” I thought. Almost instantaneously realized that it was my outburst and I indeed was right where I needed to be. Who am I? I am an angry person! Now, this isn’t my story, but the great message, beyond just ‘stay calm,’ is one that each person, couple, family, and company should consider. “Who are we?” If someone asked you this question, would you be ready to answer? Furthermore, if someone asked you, “What do you believe in?” Would you know? Would you be prepared to respond to: “What makes you different? What makes you better? What do you love? 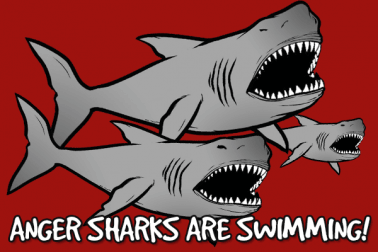 What is your purpose?” My contention is that most of us would realize that ‘the anger sharks are swimming,’ or perhaps the ‘nervous, awkward, unsure, or puzzled sharks are swimming. In the world of business, almost 75% of all companies believe they are great communicators. When in fact it has been surveyed that only about 5% actually are. In the world of psychology, 90% of individuals believe that they are introspective by nature. When 17% truly are. This means not only that we can’t identify who we truly are, but that we are indeed delusional about our own self-image. 78% of us are lying about whether we are being honest with ourselves. (cue laughter here). At Your Employment Solutions, we were recently asked many of these puzzling questions. As managers, were we delusional about our reality and company image? Absolutely we were. The one thing our management team could agree on was that we couldn’t agree on what our answers should be. But we were determined to have a common identity. YES management was dedicated to figuring out who we are and what our purpose is. It began as a family affair. Reed and Logan Laws. Two contrasting yet parallel personalities that again, could only agree on what they disagreed about. We stood in front of a blank whiteboard with an idea that we, as two people, could decide the purpose of an entire management team. Therein lay our first mistake. And so we turned to our resources, everyone else. With little direction at first, we asked our team members, “Give us a few words that describe YES’ purpose.” We saw great responses with deeper meaning such as: we care, we serve, we motivate, and we provide. We asked another question, “What is your purpose as an individual in this company?” The answers became slightly similar to one another. To learn, grow, train, inspire. Drafting this agreement was not a two-man job. This was not a management group project. This was the work of many. Our friends, employees, coworkers, supervisors, and more–all collectively analyzed the answers to some very difficult questions. Our goal was to identify our identity as a company and more specifically as managers. WE (as in all of us) accomplished this goal together. We now stand atop a statement that lifts us to a purpose that is clear and powerful. With this purpose statement, we have been able to build a foundation to answer even more of the difficult questions we asked. With confidence and pride, we drafted our guiding principles to direct us as we venture to reach our potential and fulfill our purpose. Be All In by making ourselves accountable, being committed and giving our best effort. Act with Integrity through building trust and showing respect to encourage a culture of oneness. We have each other’s back. Be Humble as we demonstrate an awareness of other’s capacity to contribute beyond our own understanding, by being open-minded and teachable. Have Consistent Communication and communicate in a manner that is open and honest; willing to have tough conversations respectfully. Promote a Fun Culture by celebrating successes company-wide. As a management team and a company, we may not be able to answer all of these questions. As individuals, we may not be able to answer any of them. But when you ask our team, our managers, our co-workers, and this company, “What is your purpose?” We shouldn’t have to quiver in anguish as the anger sharks begin to circle. We won’t have to look at Chuck for what a good answer might be. 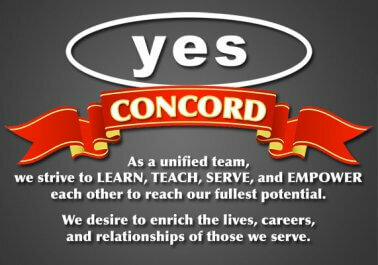 We can simply look at the foundation we have set, our guiding principles, and those around us and say, Our Purpose at YES, is to LEARN, TEACH, SERVE, and EMPOWER. People are imperfect and so it becomes difficult to have a perfect equation on how to match each individual with the perfect job. However, these are the things I feel will allow me to do so with a much higher probability of success and accuracy. It is my hope that each candidate will value these qualities in order to show their personal value as an employee. I am an account manager for Your Employment Solutions. Our mission is to find the right person, on time, the first time. To accomplish this goal we specialize in customizing our recruiting processes to cater to the needs of our clients and partners. We are the Only staffing company with a Certified Staffing Process and we are pioneers of the innovative mindset in our industry. We recruit and employ any level of employee from production to management, to customer service, engineering, admin assistants and many more. It is our passion and pleasure to provide quality service and partnership with all those we work with.